Being a long time fan of the Dynasty Warriors and Fire Emblem series I was pretty excited to finally get my hands on Fire Emblem Warriors. I was hoping they would mix just enough of each series to make something that felt very familiar, but was still fresh. Did this title meet my expectations? Let’s find out! The story here follows the royal twins of Aytolis, Rowan and Lianna. One day they are having a sparring match with their friend Prince Darios of Gristonne when their castle was suddenly attacked by monsters. They soon learn that Darios’s father, Oskar, is looking to revive the evil dragon named Velezark. To stop this the twins must power up the Fire Emblem with the power of Gleamstones, that are created from the powers of warriors from distant lands! While the story here is pretty basic, the character dialogue makes it much more enjoyable. Seeing all your favorites from the various Fire Emblem games interacting together is a real treat at times, and the support conversations are handled well and add to the experience. This really is one of those times when if you’re a fan of the franchise you will get a lot more out of this than if you’re not. I still think it could be enjoyable if you came into this blind, but a lot more so if you’ve played any of the previous games in the series. 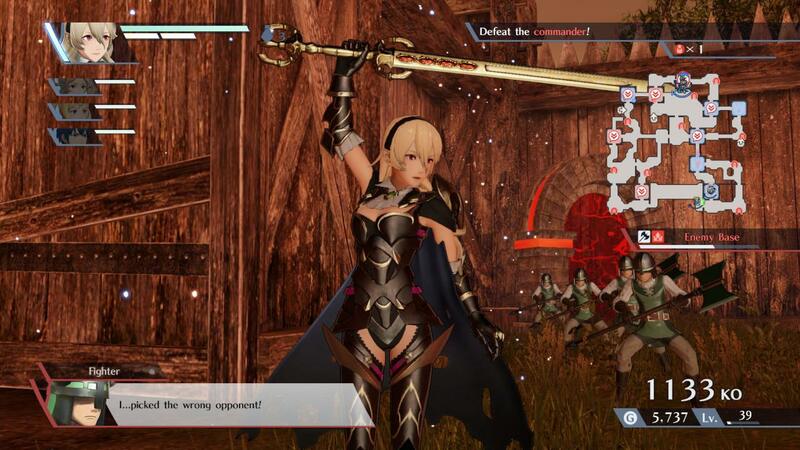 Graphically Fire Emblem Warriors looks nice. 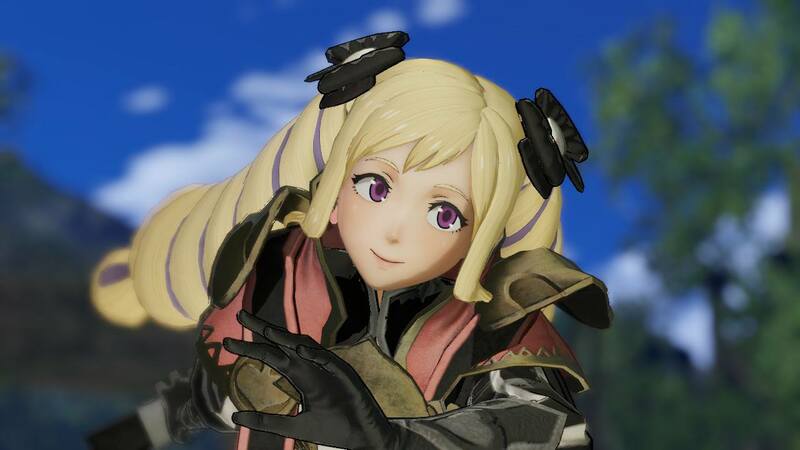 The character models are detailed and look fantastic, they even made Elise look more adorable! The enemy models are nice but this a Musou game, so you will see the same model lots and lots of times. The environments are nicely done as well, from forest keeps to lava filled mountains, each area is laid out well and nicely detailed. The framerate is a solid 60 FPS in 720p. There is no difference when playing handheld or docked. The soundtrack here is top notch and contains many remixed tracks from the Fire Emblem franchise. I really love all of the remixed battle themes that play during each stage. These get stuck in your head instantly and you hum them for hours after you stop playing. The game is default dubbed in English, and they got a decent cast for most of the characters. You can download the Japanese audio for free in the eShop if that is your preference. There are a couple of different play modes to explore in the game. The first is story mode and it is divided into over 20 or so battles, each one giving you another piece of the tale. Completing story missions will also unlock new characters for you to use in History Mode, of which you can use when you replay story missions in free play. History mode will let you relive some of the most iconic stories in the Fire Emblem franchise through a series of battles. Just like in Story Mode the battle objectives and types will vary. Some will have you capturing all of the forts, others may have you fighting in arena battles, and some will even have you slaying as many enemies as possible within a time limit. There are even lots of side missions that will appear during the main mission. These provide some extra items or materials. This is something this game does better than say Dragon Quest Heroes, where a lot of the missions felt the same or you kinda felt like you were doing the same thing over and over. The game controls like most other Musou games before it. You have two attack buttons you can mix together for combos. You can execute screen clearing attacks when your Warrior Gauge is full, but for something a little new thrown in the mix, here you have an Awakening Gauge. When activating this mode you will gain an advantage against every weapon type and have access to new special moves. Just like in normal Fire Emblem certain weapons are stronger or weaker against other weapon types, for example axes beat lances, lances beat swords, and swords beat axes. This also applies to certain enemy types as well. Bows will demolish flying units, for example. Units can also team up together just like in a normal Fire Emblem title. This will allow the units to help each other out with attacking and defending. 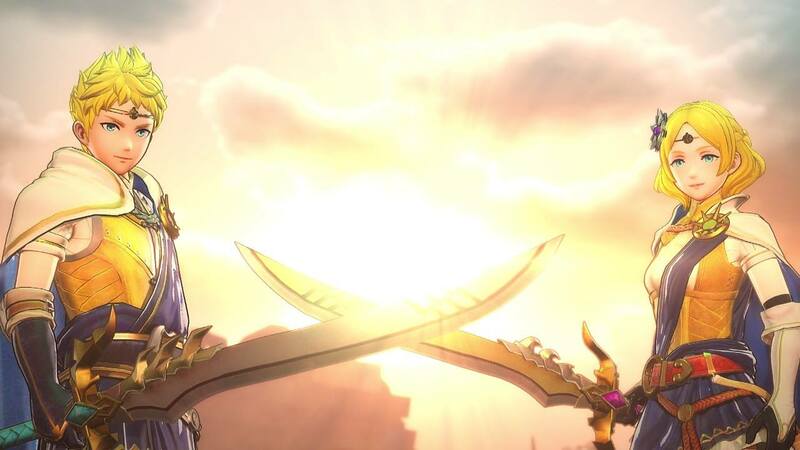 Keeping them together will also build their affinity for each other faster, and will allow access to a dual Warrior move if both their gauges are full. Before each battle begins you will be shown a map of the area where the battle is going to take place. You can pick which controllable units you want to deploy, and assign orders to various units. The map will show you which enemy units will have an advantage or disadvantage too, so this makes planning out initial moves a snap. You can also pull up the map anytime during the stage and assign new orders to units you’re not controlling. This is in addition to the three or four units you can control and switch between on the fly. Just like any other Fire Emblem game you have a convoy and camp menu. As you defeat enemies in the stages they will drop materials and weapons. You can use the materials to upgrade each of your character’s abilities and stats via a crest system. You will need a specific amount of each given item and a little gold to activate each crest. Some of the rarer items are more likely to be gained by building support with each character. You can also locate Master Seals by unlocking certain chests in story mode or getting an S rank on certain missions in History Mode. These will change a character’s class giving them a huge stat boost and a new look. The camp menu also lets you access the Training Ground, where you can spend gold to level up characters, though they cannot be leveled higher than your highest level character. There is also a Smithy where you can forge weapons by taking attributes from a weapon and moving it to another with an empty slot. There are a lot of things to do in this game. I was shocked at how much Fire Emblem was in here. I mean you can even play in Classic mode where if someone falls in battle they do not return. I had a lot of fun with this title being a fan of both the Musou style gameplay and Fire Emblem. While I really can’t find too much to complain about some will find the story short at about 15 hours, though you can get about 30 to 35 outta this if you unlock everything, making it worth the $60 price tag. 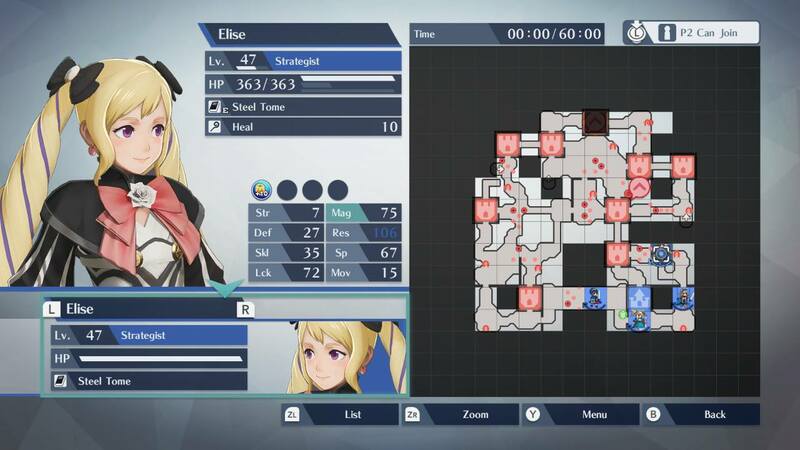 I think folks picking this up that have never played a Fire Emblem game will be a little lost, but I think they could still have some fun with it. If you are a fan I would highly suggest you pick this one up, it’s the best kind of fan service to an awesome franchise. Game provided by Play-Asia, if you would like to snag a copy for yourself please use our affiliate link below.